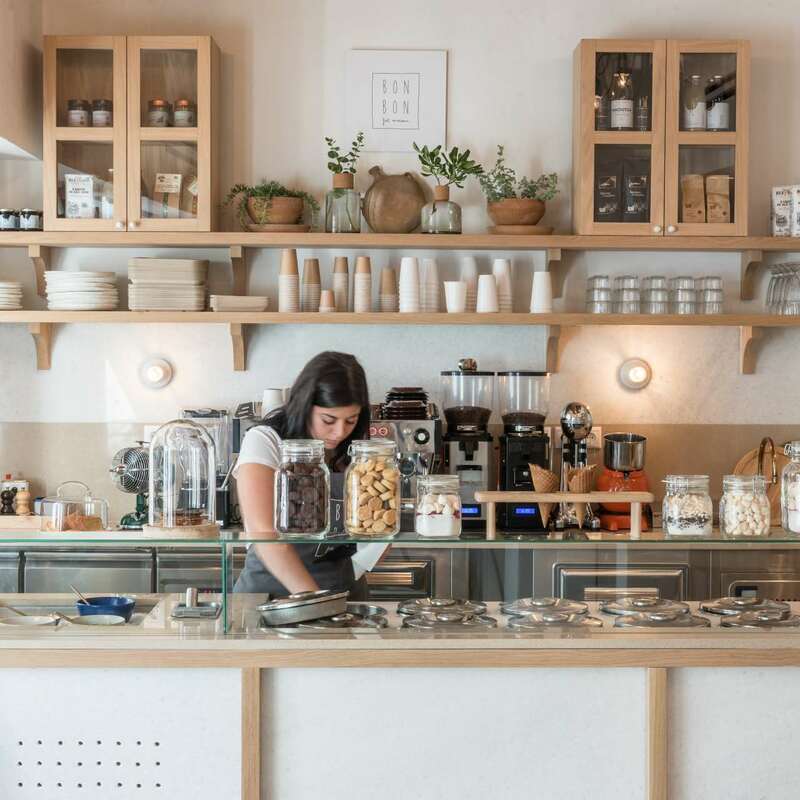 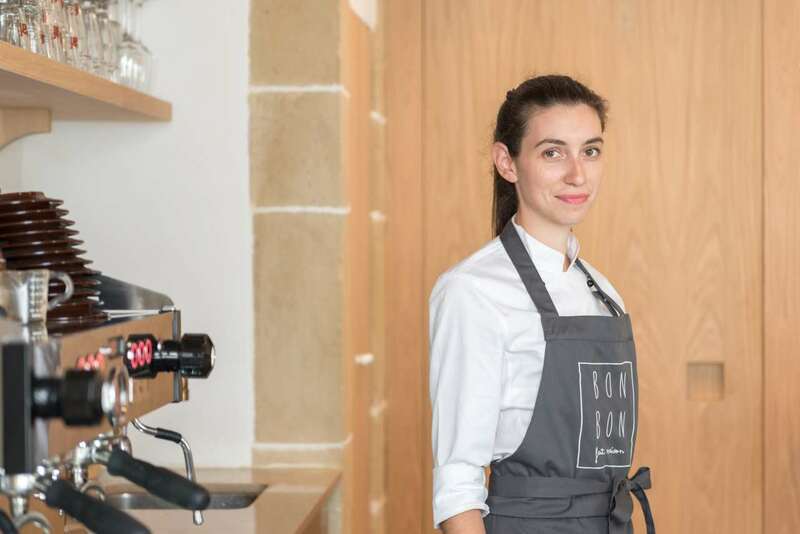 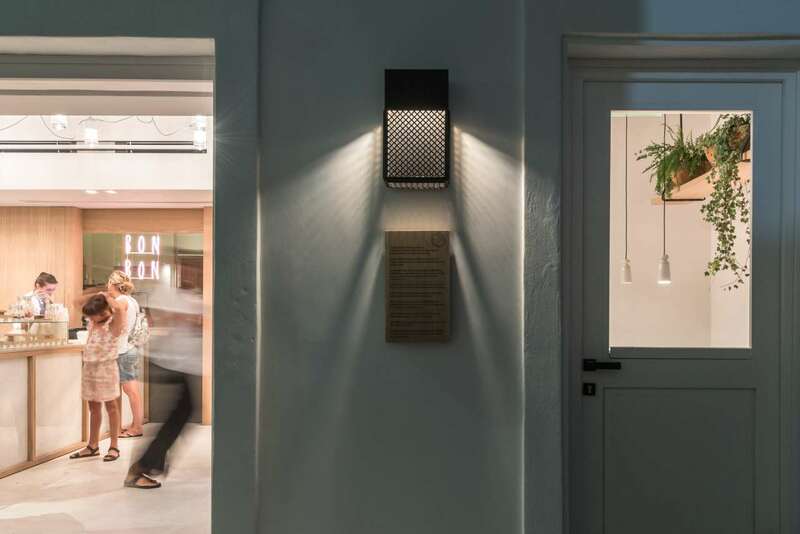 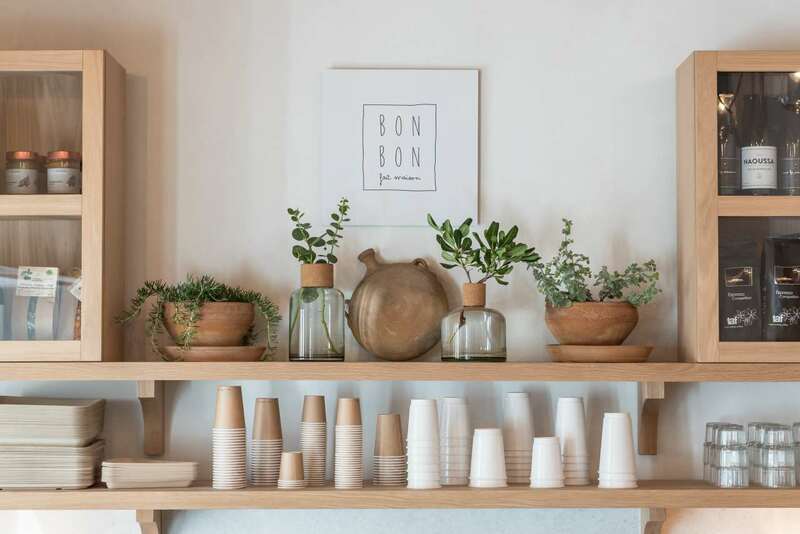 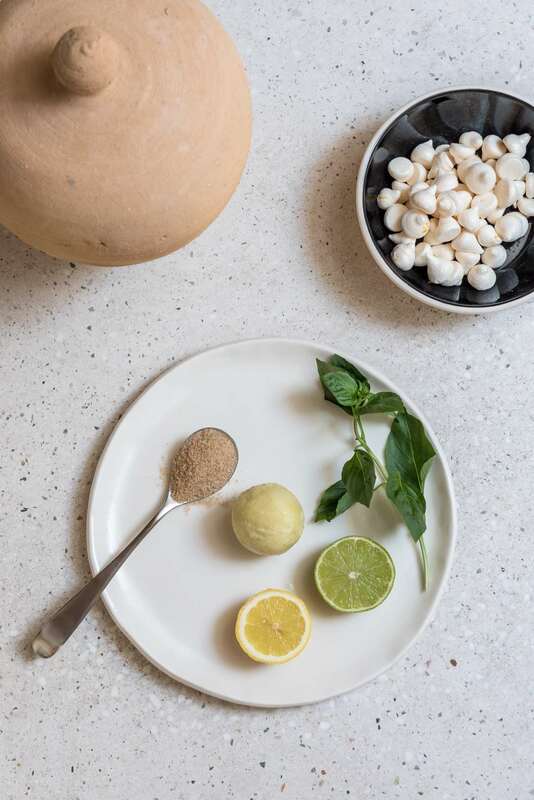 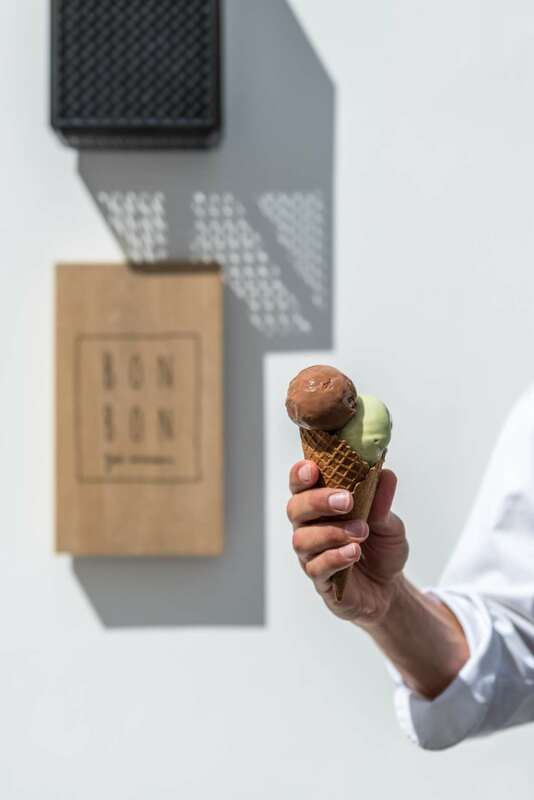 Easy breezy, Greek island living meets haute French Gastronomic innovations in BON BON Fait Maison, the inventive "fast gourmet food" spot designed by Interior Design Laboratorium on the Ionian island of Kythira. 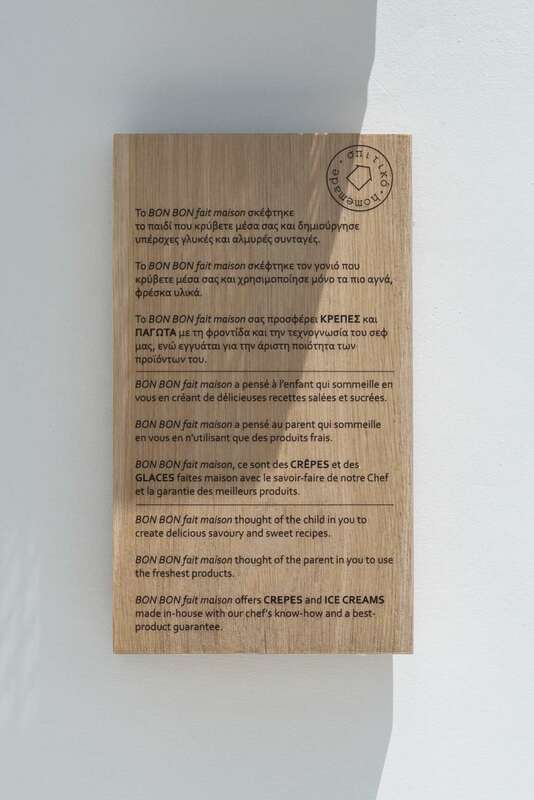 Completed in July 2017, the finished project - which was led by designer, Stamos Hondrodimos, and realized by the local architecture firm, m3kythira - bears exacting witness to the gastronomic philosophy directives of chef Kriton Minas Poulis, merging his Greek roots with his French culinary expertise. 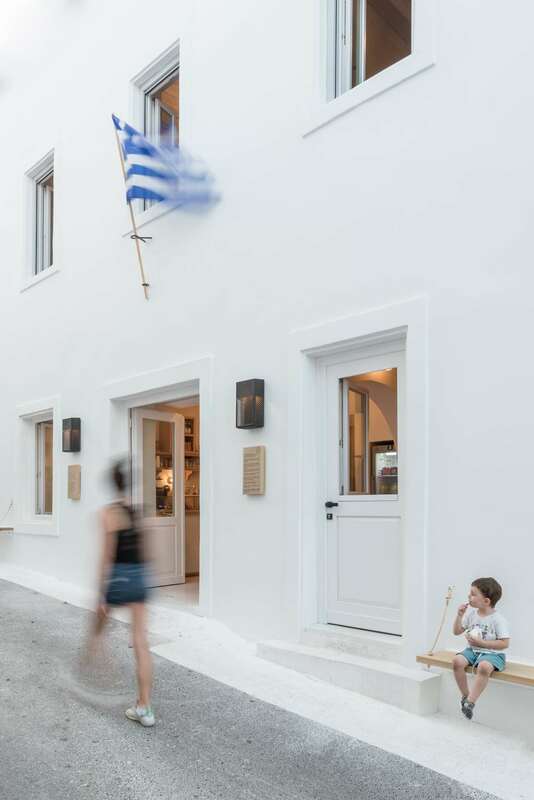 The traditional two storey building, which houses this flavorful marriage, was originally constructed in the 1860s and has been carefully refurbished to reflect its inspiration: the bright Greek summer and the lives of Greek island natives. 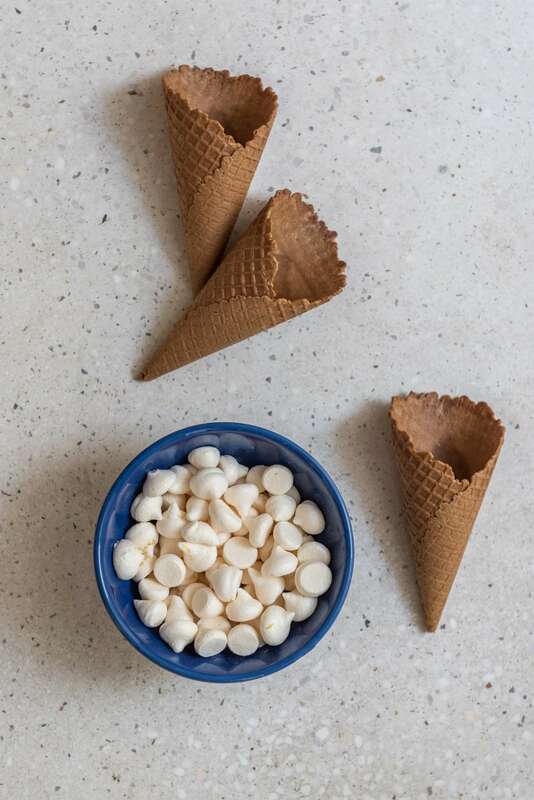 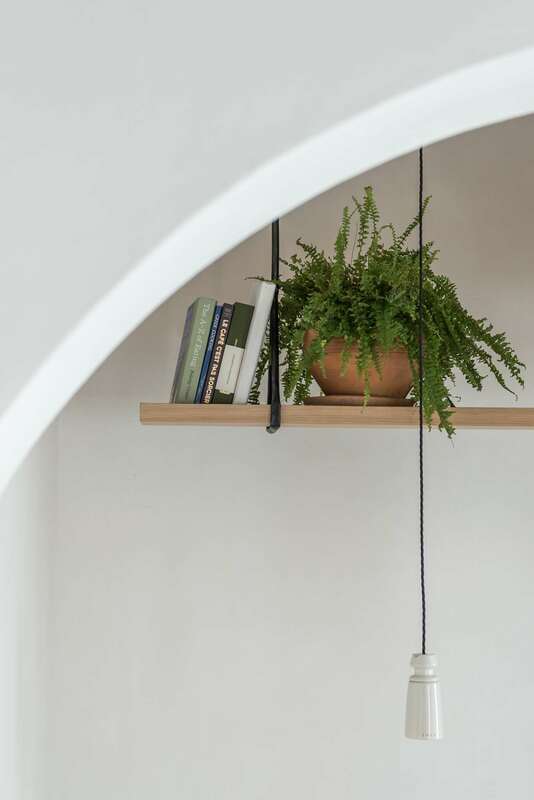 Described by the designers as a "space that would subconsciously awaken the visitor with memories of their childhood summer innocence," it contains all the elements that illustrate this point exactly. 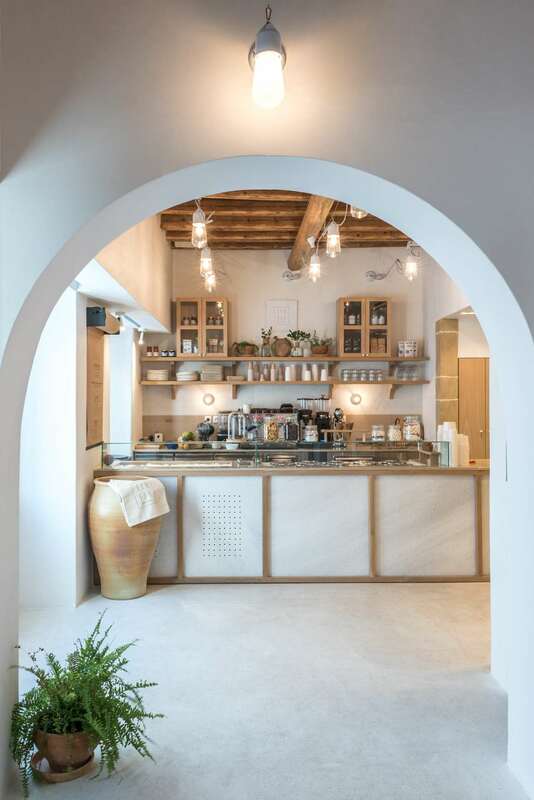 The whitewashed plaster walls, traditional marble mosaic floors and restored wood beam ceiling (which was original to the building) are the perfect foil and set the stage. 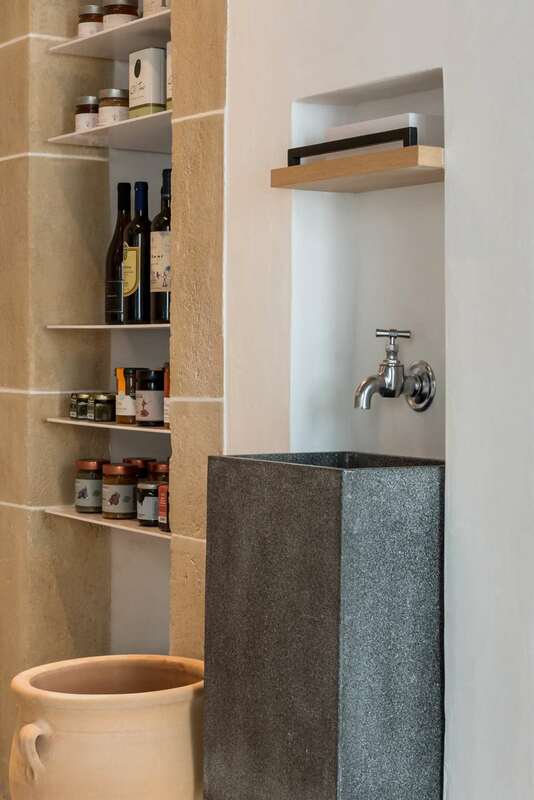 To that, the designers added carefully selected materials that further enhance the experience. 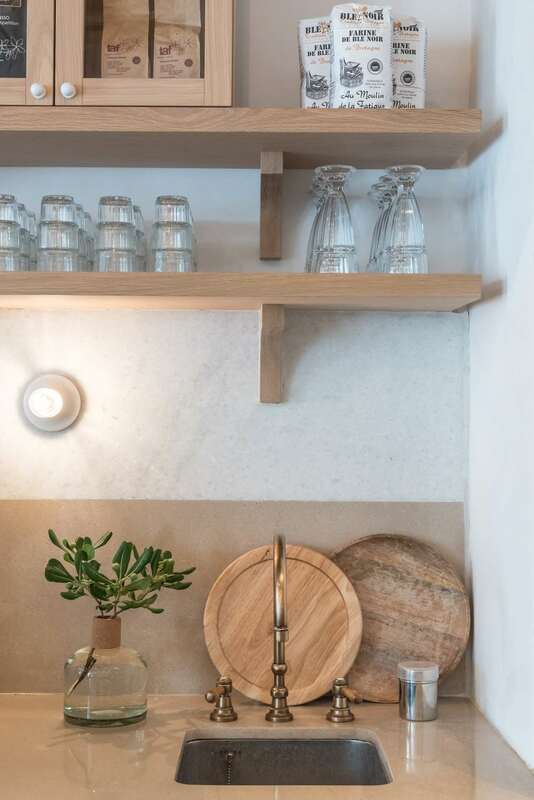 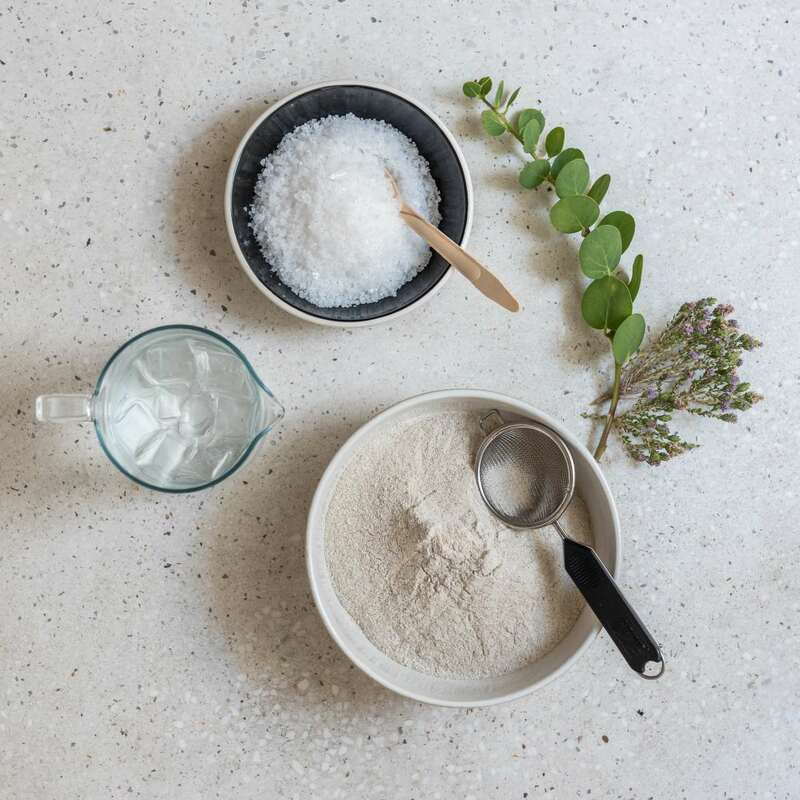 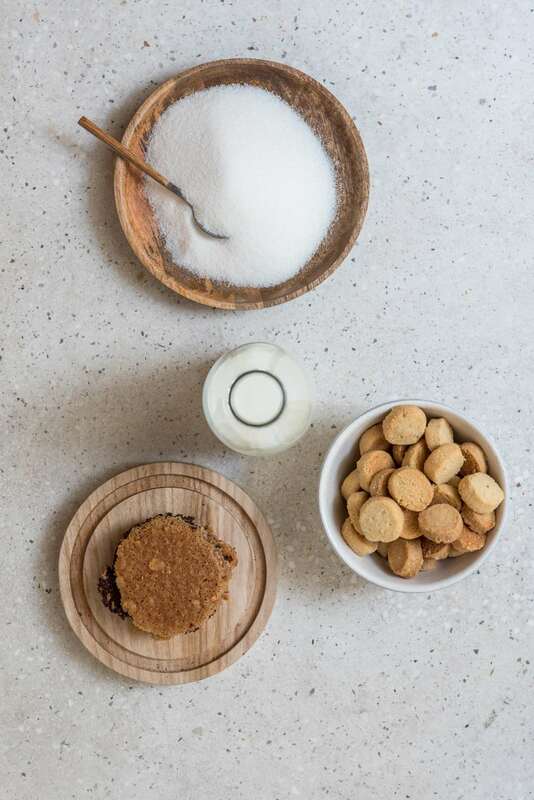 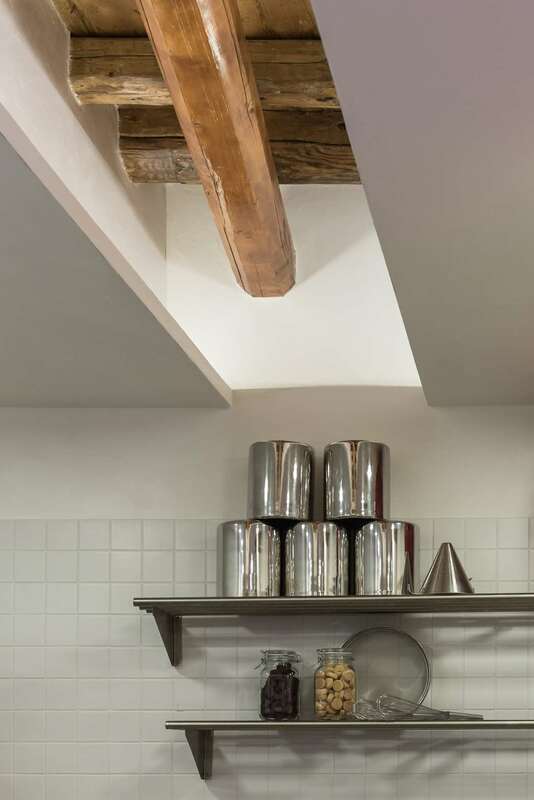 This means that light colored wood was used in the construction for the open kitchen cabinetry, the shelves, the tables and the whitewashed, raffia-topped stools surrounding them - all of which were custom made by Interior Design Laboratorium. 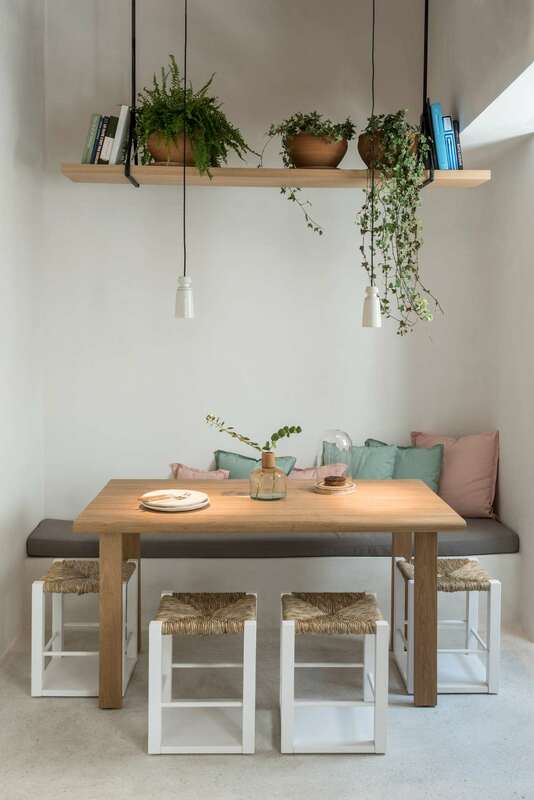 White marble from the Greek island of Naxos utilized for the counter and the built-in benches covered with pastel pillows solidify a patron’s comfortable experience within the space. 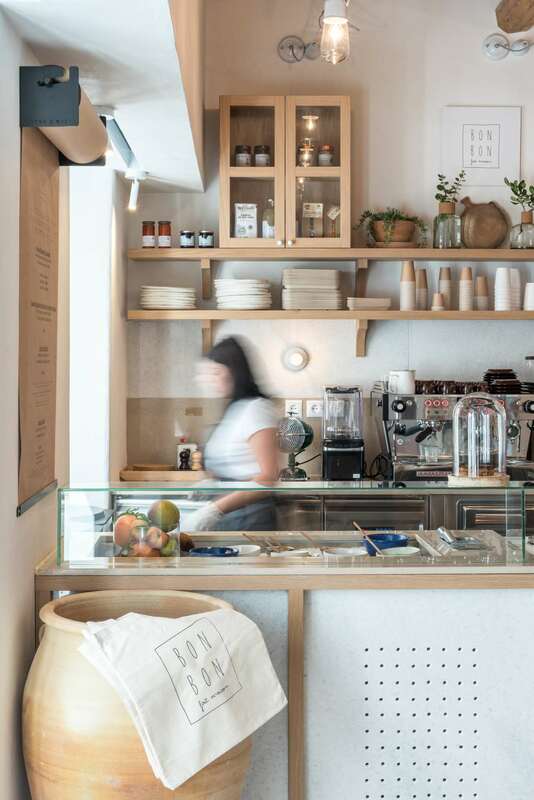 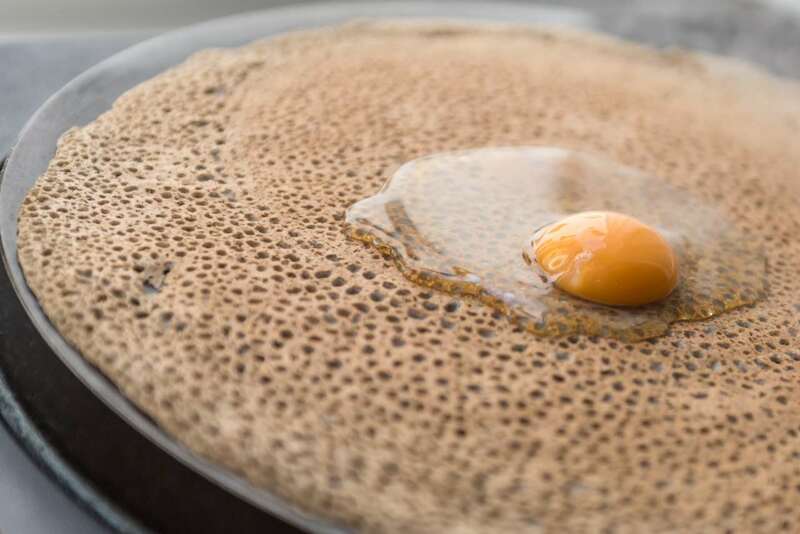 The warm and friendly atmosphere perfectly reflects the delectable menu's offerings, which tempt taste buds with ice creams and sorbets, as well as black buckwheat crepes from Brittany, among other items that patrons can select off the large, pull-down, brown paper menu hanging beside the counter. 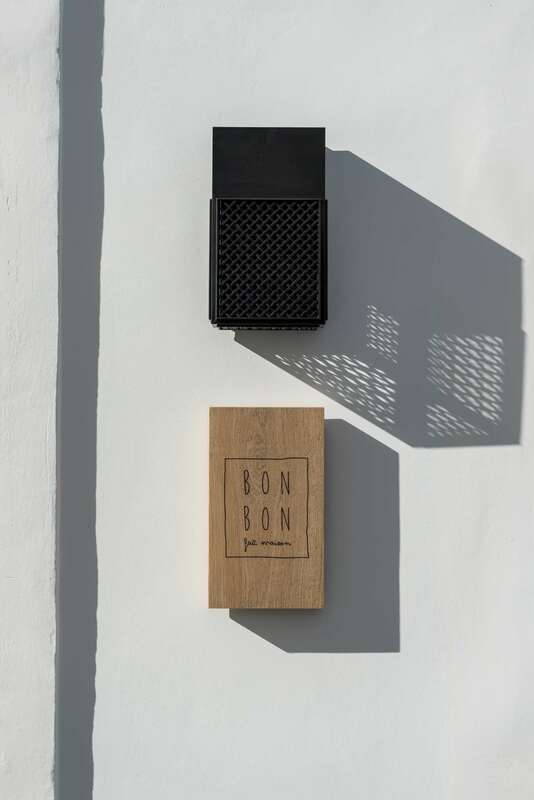 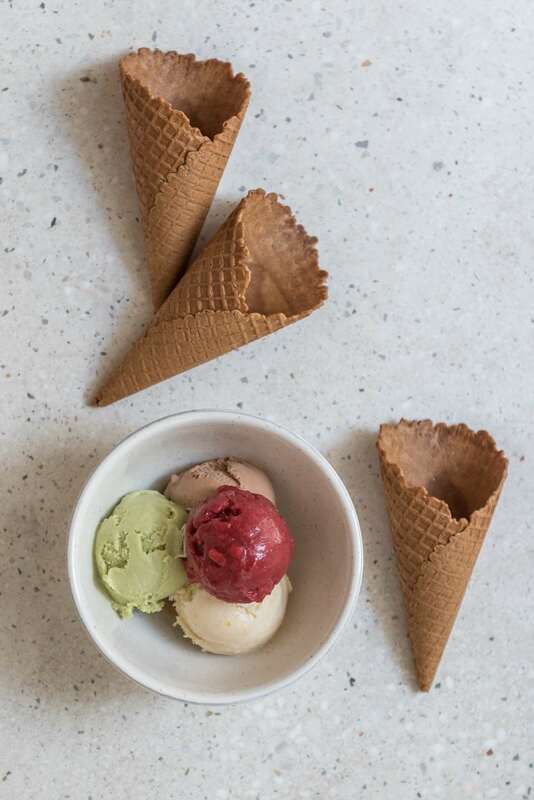 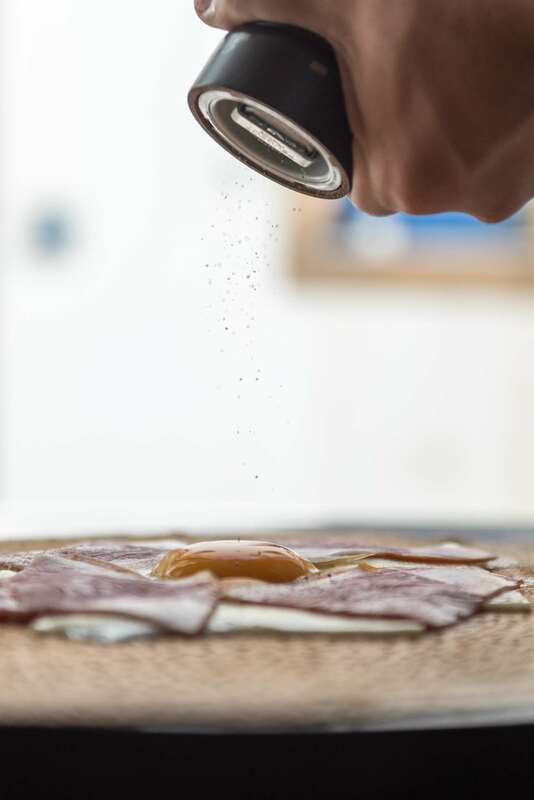 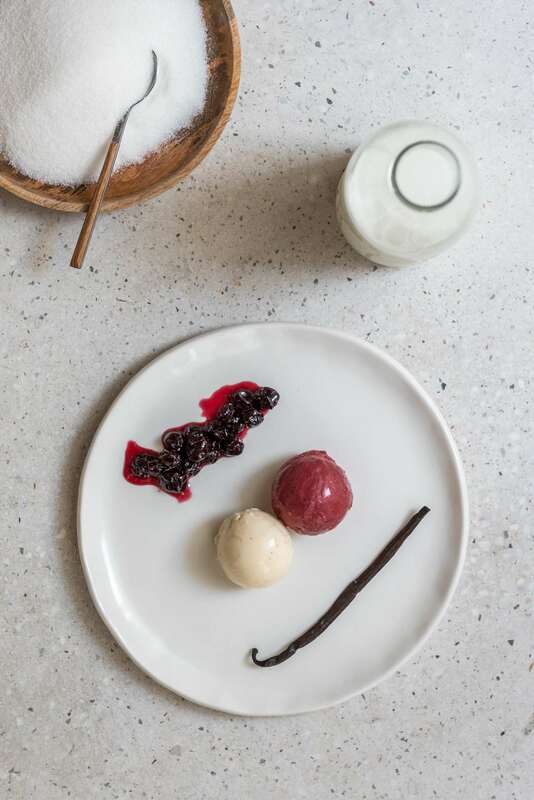 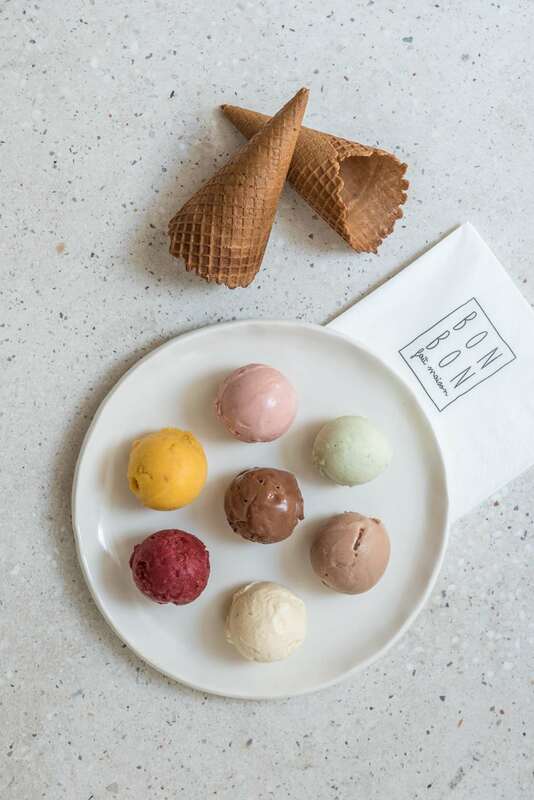 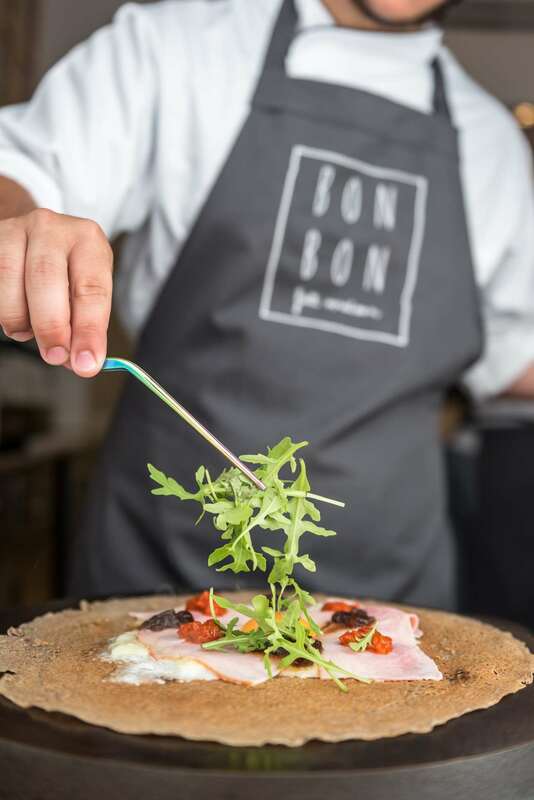 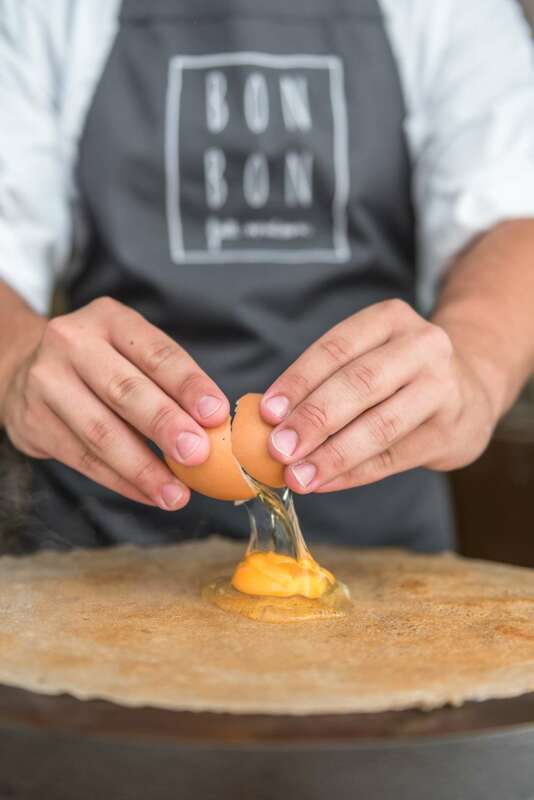 Conceived as the flagship of other BON BON Fait Maisons that aim to reach throughout the Greek islands and extend beyond to major European cities, this friendly spot is at once a home and a destination; familiar and inventive; seasonal and timeless. 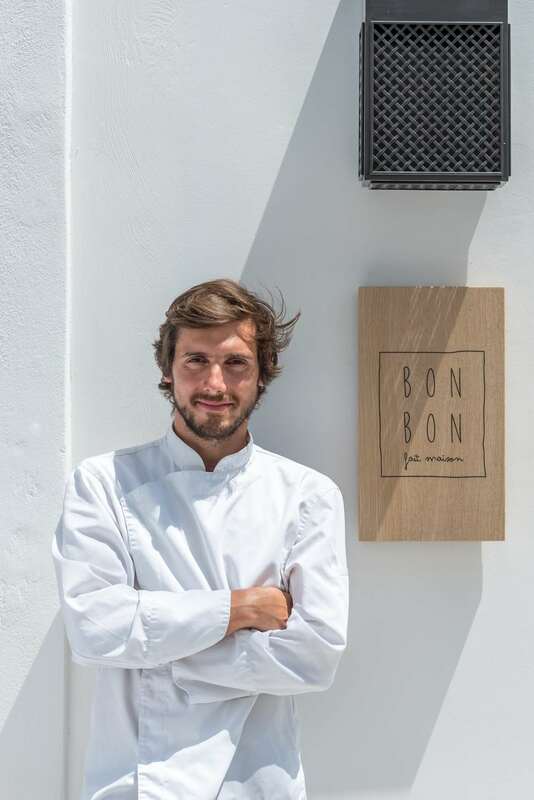 Kriton Minas Poulis, Co-founder and Chef. 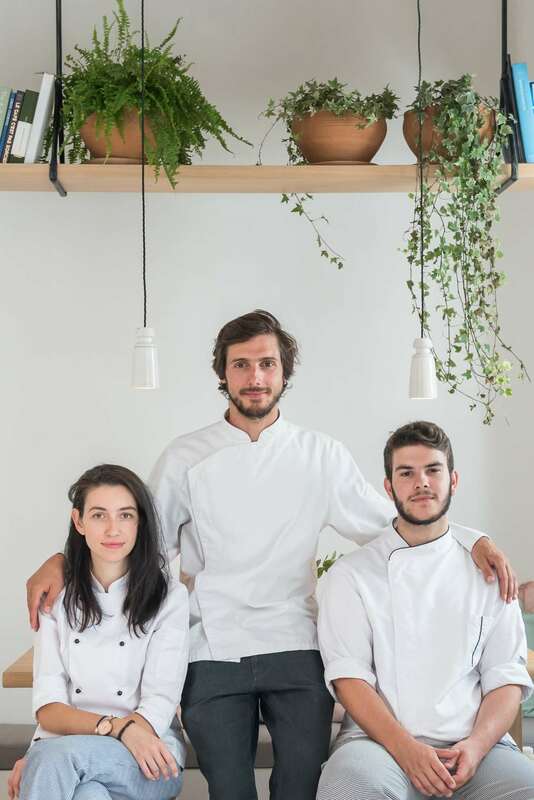 Photo by Giorgos Sfakianakis. 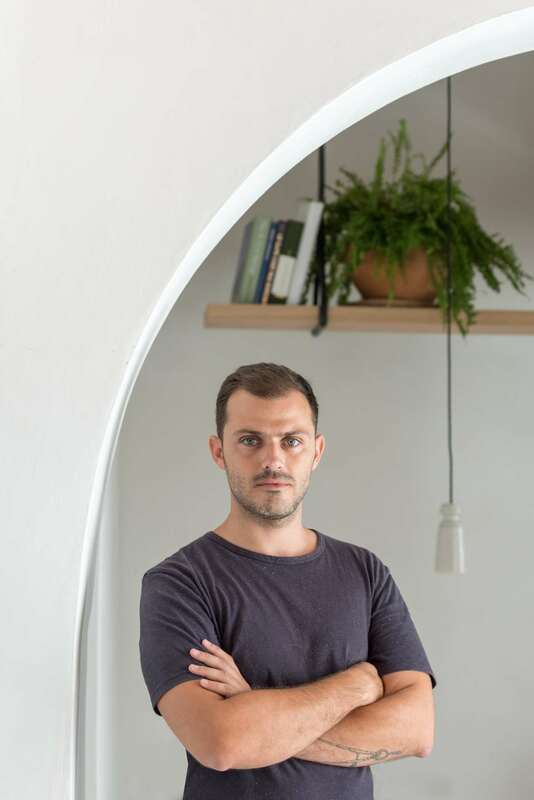 Stamos Hondrodimos, Interior Designer. 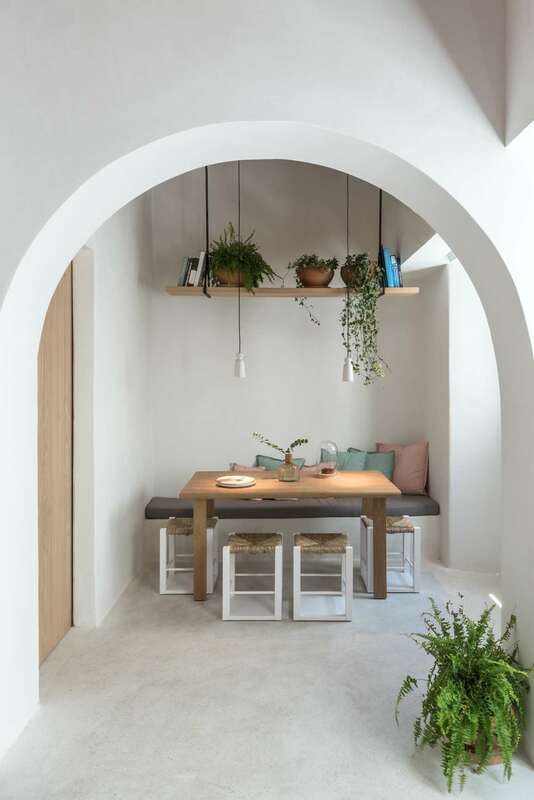 Photo by Giorgos Sfakianakis.